The fact that I haven’t been to Nashville before this trip is a real shame and I have to say it’s hands down one of my favorite big cities in the South. I loved the laid back vibes, all of the amazing food and that it’s one of the few places that country music still reigns supreme. Didn’t quite get to see (or eat) all of the things on my or that everyone on Instagram recommended, but I’m not too worried because I know I’ll be back again soon. 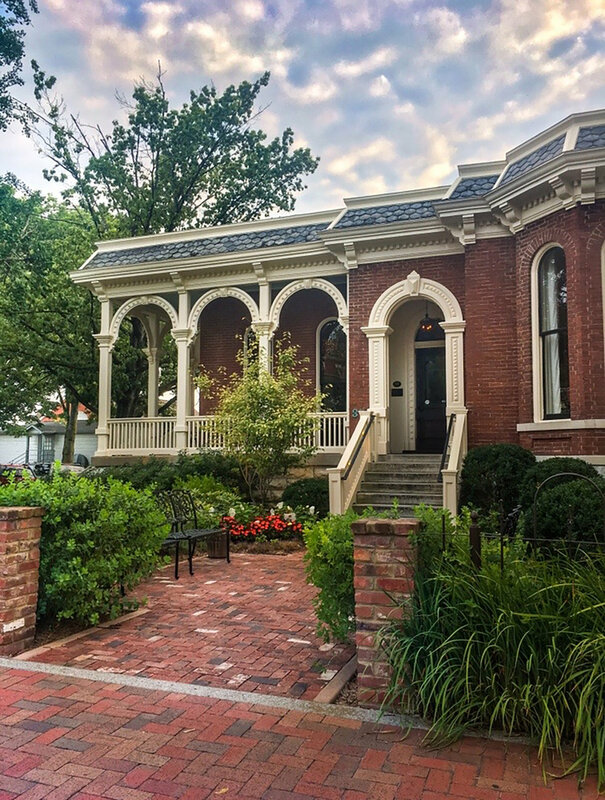 Read on to see all of the places I went and maybe get a little inspiration for your next trip to the Music City. COUNTRY MUSIC HALL OF FAME & HATCH SHOW PRINT | I figured I had to do at least one of the big “touristy” things while I was here and fighting the crowds for this one was worth it. It was fascinating to see a lot of the moments, instruments and outfits that have shaped the history of country music over the years. As an old school country fan, navigating the exhibits made it painfully evident how far mainstream radio (let’s be real here - pop) country really is from those early roots in Appalachian folk and blues. Let’s hope that a few of the artists that are still writing songs with strong narratives are able to take back the reigns towards those roots. 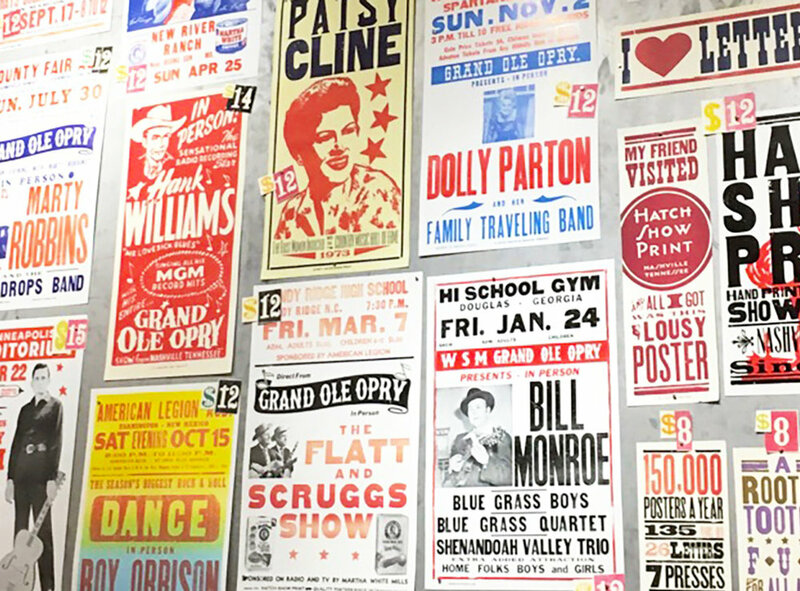 Attached to the Country Music Hall of Fame is Hatch Show Print, which was a cool little stop to look at recent show posters and get nostalgic over that familiar printshop smell (those of you who know, you know). BAKERSFIELD NASHVILLE | When theres a good taco place somewhere, that’s usually where I’ll end up at some point and luckily these tacos did not disappoint. It was also a great place to escape the stifling heat of August and enjoy a refreshing mezcal cocktail. 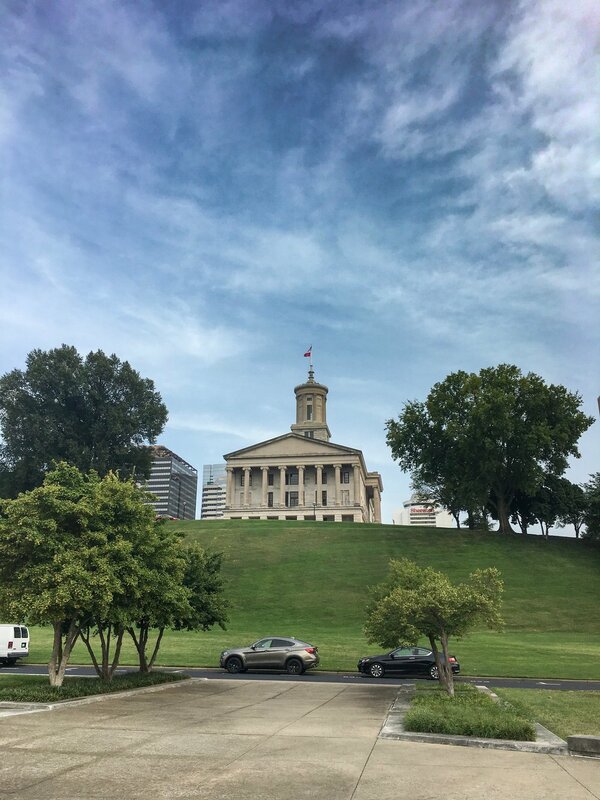 TENNESSEE STATE CAPITOL & NASHVILLE FARMER’S MARKET | After walking several miles I decided it would be a great idea to walk even more and check out the Nashville Farmer’s Market. Luckily it wasn’t too far from the hotel and I got to mosey around the State Capitol down to the Capitol Mall State Park. At the Farmer’s Market I picked up lots of fun little snacks to try for a light dinner and sampled a couple of the local wineries. Then I spotted Jeni’s Ice Cream and figured I’d treat myself with some of my favorite ice cream after all that walking. FRIST ART MUSEUM | After a quick breakfast of a chai latte and quinoa bowl from Frothy Monkey, I walked over to the Frist Museum of Art and spent an unexpectedly large portion of my morning browsing the exhibitions. I also had an amazing talk with a receptionist that give me some inside details on the best places to visit while in town. I won’t go into too much detail here since I’ll be devoting an entire post on my experience at the Frist, all on the work I saw in the museum and my thoughts on the exhibitions. GALLERY HOPPING | After leaving the museum I continued on my art filled day by gallery hoping the rest of the afternoon. Stopping at the 21c Museum Hotel galleries, Tinney Contemporary and The Rymer. All of which had wonderful and incredibly different work. DINNER @ HUSK NASHVILLE | Later that evening we made reservations at Husk Nashville to experience Chef Sean Brock’s take on Southern food specific to the area around Nashville. 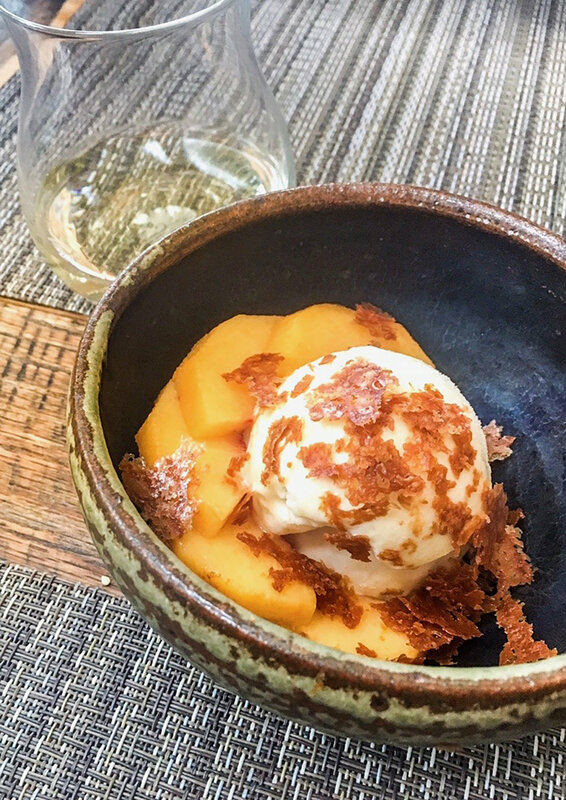 Having spent several years in the high end restaurant industry I have to say one of the things I enjoyed most was the sense of humor and combination of high/low that ran throughout the menu. 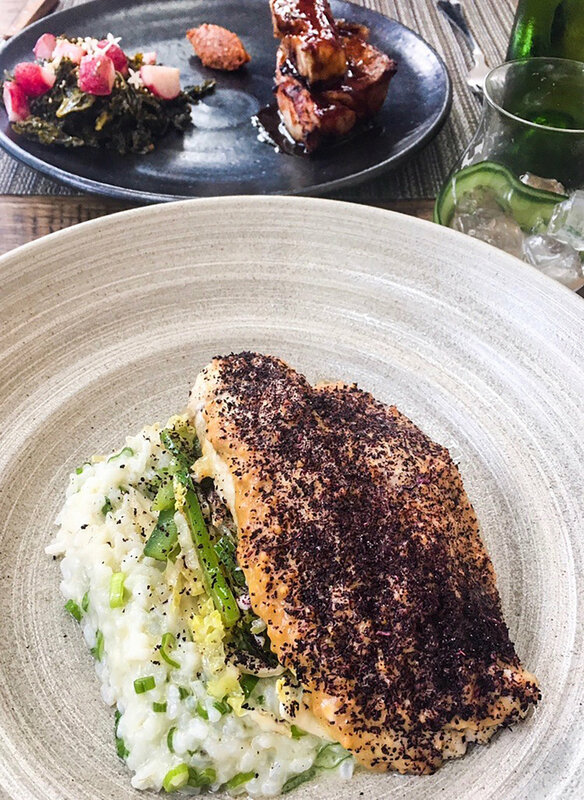 I also applaud Brock and his team for not simply rehashing the same tired old recipes that “define” Southern food and culture, instead they choose to highlight the ingredients that are engrained in the region by adding little twists that toy between comfort and contemporary. I’ll have to make it a point to add Husk Greenville to my list of local stops. BISCUIT LOVE | Of course I was gonna find my way to a fried chicken biscuit! Usually these types of places can be pretty over-hyped and despite the line out the door, I was very impressed with this little breakfast spot. 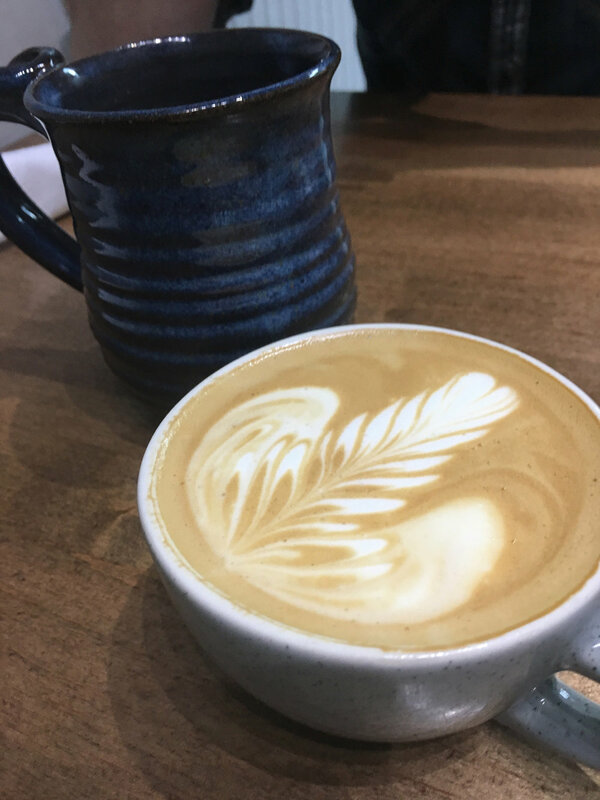 We were through the line much quicker than anticipated and enjoyed our morning shot of caffeine while waiting on breakfast to arrive. Both biscuits were amazing - the Princess had hot chicken and the East Nasty had sausage gravy and cheddar (I mean how can you go wrong?). Definitely arrive hungry and be prepared to skip lunch, but it’s more than worth it. SHOPPING | Fueled by fried chicken and coffee, some shopping was in order at the boutiques around the Gulch neighborhood. After not being impressed by all of the tourist trap boot shops the previous day, I made a beeline straight for Frye and Lucchese. A new pair of daily wear boots has been on my list for quick a while now and I’ve been struggling to find a new pair that ticks all the boxes. There aren’t many places in Greenville to drool over all the leather goods, so needless to say I was in boot heaven the next few hours and found way too many things to add to my wishlist. There’s also Urban Outfitters, Two Hippies and several other shops close by. FOOD TRUCK FAIR & MUSIC | That evening we walked around the city taking in the sights and sounds of Broadway and a small food truck fair down the block from our hotel. We also enjoyed stopping to listen to the variety of artists playing music in every nook and cranny. 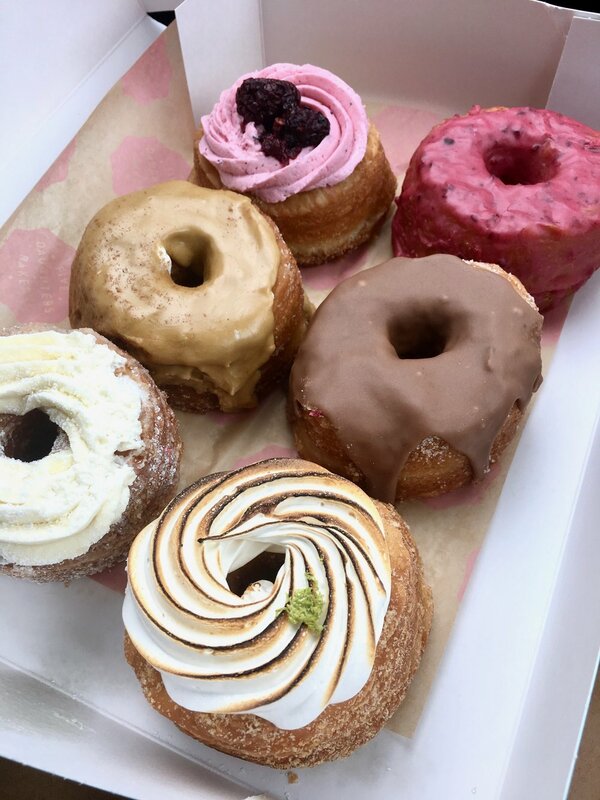 FIVE DAUGHTERS BAKERY | We saved the best for last and picked up a box of Five Daughters doughnuts for the road. When I asked for recommendations on Instagram, this was the number one suggestion and these doughnuts are hands down the best Ive ever had. In fact they've officially ruined all other doughnuts for the rest of my life. Just sayin’. 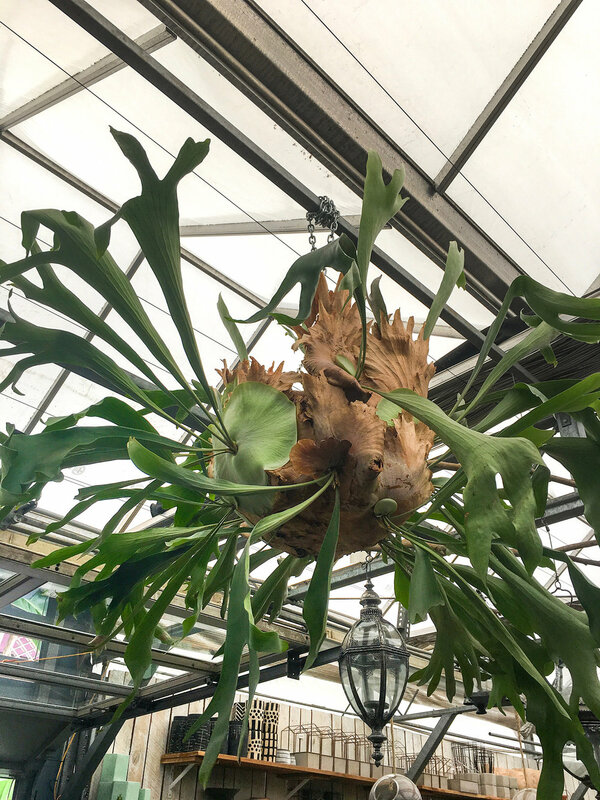 GARDENS OF BABYLON | This place is a plant lovers playground and is a great place where you can find some more unique additions to your plant collection. Since we had a 6 hour drive ahead, I restrained myself and only bought two ferns, a cactus (that later decided to attach itself to my thumb, so we didn’t get off on a good foot), some small pots and a really cool metal hanging planter. This is definitely one of the places that I will happily go out of my way to get to next time I’m in this neck of the woods. DRY LEVEE SALVAGE | COOKEVILLE, TN | I’m one of those people that will always make the most of being on the road and has to hit any places I have bookmarked along the way. When I was out in Cookeville last winter there were two places I didn’t get the chance to swing in, the first being Dry Levee Salvage, an antique and reclaimed goods store that has some really unique finds. They had some beautiful pieces of reclaimed and salvaged wood for sale as well as a great selection of antique tools. This is a place I’ll always stop in out of curiosity. JOHNSON GARDEN CENTER | COOKEVILLE, TN | Oops I did it again….yes the second place in Cookeville was another plant store. 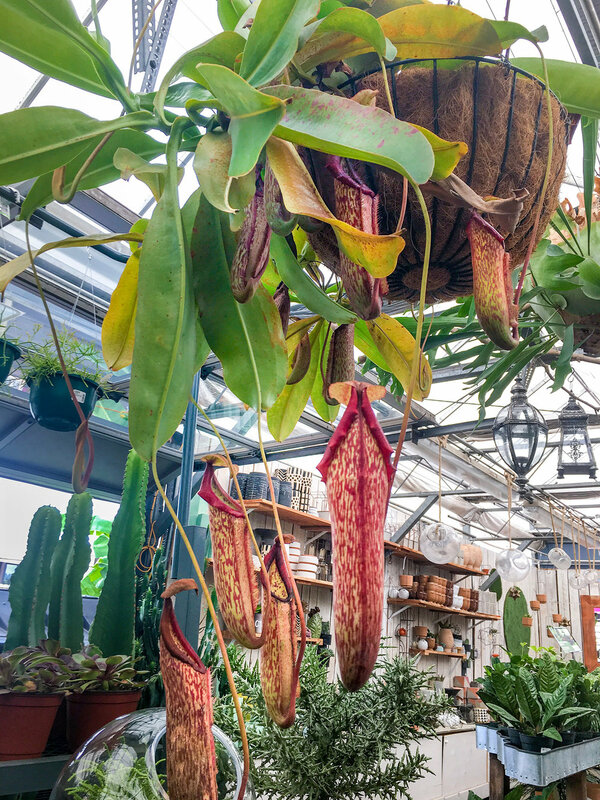 Not quite as epic as the last one, but much larger and with a lot of more variety than you would find at most garden centers. 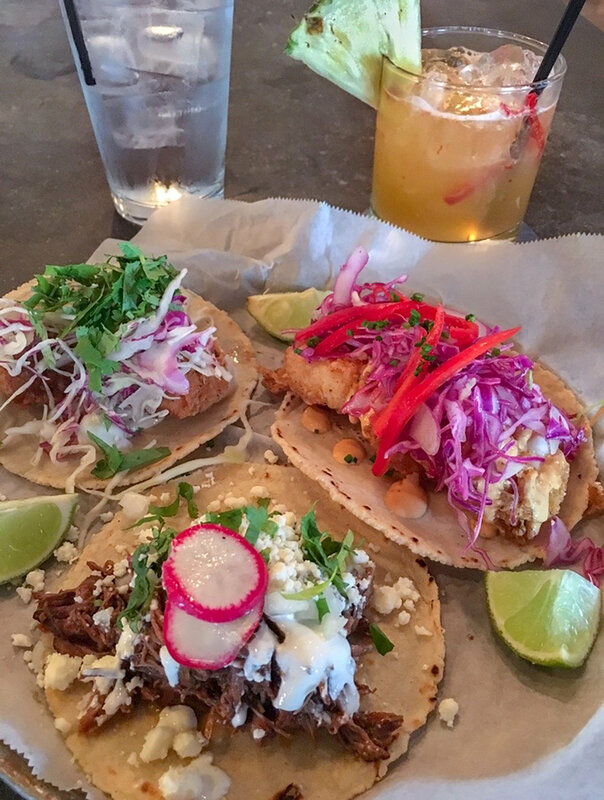 WHITE DUCK TACO | ASHEVILLE, NC | Tacos are one of my three main food groups. No seriously, I could literally eat tacos for every single meal of the day (as evidenced above), so I have to admit I was not impressed with White Duck. Maybe it was just an off day or maybe it was just all of the amazing Nashville food, but this was a little bit of a meh note to end the trip on. Hope ya’ll enjoyed the rundown of all my Nashville adventures! I have so many places that I didn’t get to on my list for next time and can’t wait to head back to the Music City for round two. What are some of your favorite things to do, see and eat in Nashville?